Using a baby walker for your baby can be such fun and entertaining to the baby. However, shopping for a good one can be an uphill task. I remember when my girls were around 4 months, i had already clicked like on many sites to fish out the best. It is in this process that i got a chance to visit good sites that had nice baby walker reviews that made my shopping easy. I must say over time i have developed a habit of getting reviews of a certain product before buying it, this has saved me a lot of time and made me end up with a quality product. 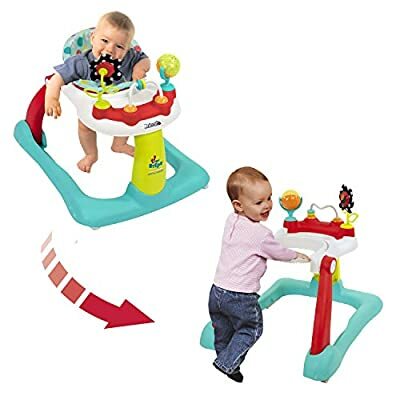 I know there are various emotions around on whether these baby walkers are safe for baby’s development or how long should a baby be on a walker and how safe are they in terms of causing falls to babies who are learning how to walk. In this blog, am going to give 7 of the best baby walker reviews and what factors to consider before buying one. Although its essential to know that every baby is different and choosing a tailored baby walker would go a long way. Safety – A good baby walker should be safe to everyone who is handling it. Be it the baby whose using it on any type of floor or you who is trying to fold it for storage. It has sturdy wheels that can be used on almost any floor!! Whats even lovely about this baby walker is that its height can be adjusted upto 3 levels…how amazing! This walker comes in handy if you are looking to give your baby fun as they learn to walk. For every parent, its worth a look at. Well, this is an awesome baby walker and when i came across it i was sure it will fit most of the parent’s needs. It can help your baby develop walking skills better as it can be converted into a walk behind as the baby grows. With the above best baby walker reviews, you can be able to choose the most suitable walker for your baby and make walking easy and fun for them. Let those little first step be done in a memorable way!!!! I also used “Chili made of po2128#o&;.What can I say? I’m angry and venting. However, I have a special disclaimer for just such an occasion and I hadn’t put it on this article at the time. I’ve now fixed that so thank you. Hi Genevive am glad the blogpost was of use to you.